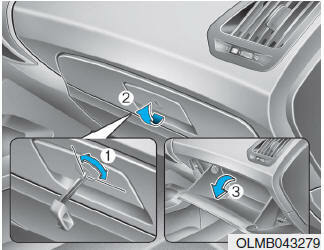 Pull the handle (2) and the glove box will automatically open (3). ALWAYS close the glove box door after use. An open glove box door can cause serious injury to the passenger in an accident, even if the passenger is wearing a seat belt.